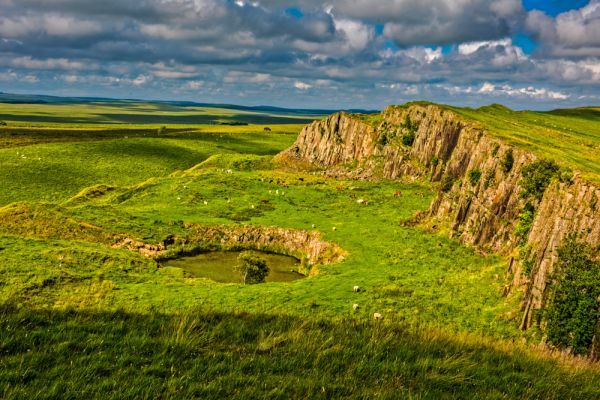 Walltown Crags is perhaps the most scenic place to view Hadrian's Wall. 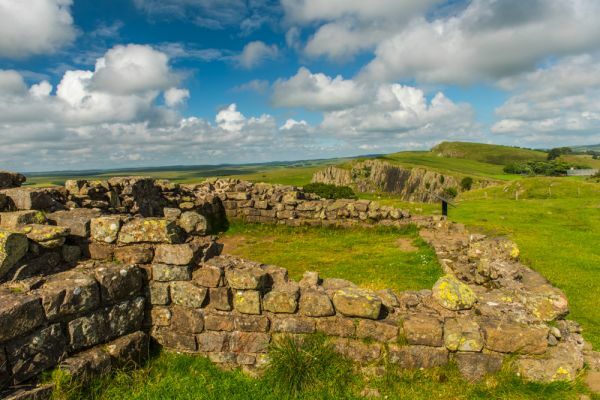 The Wall twists and winds its way along the slopes of Whin Sill, creating a dramatic view at every turn. The countryside is superb, and the Wall well preserved for much of this area. 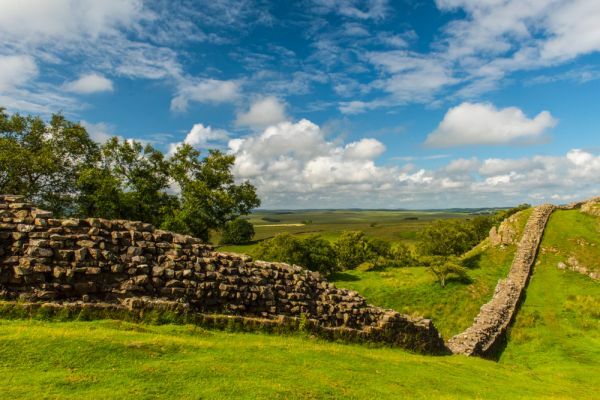 Included along the Walltown stretch of the Wall are two milecastles (44 and 45) and two turrets (44B and 45A). It is interesting to see that Walltown Turret (45A) was built as a freestanding structure rather than incorporated into the Wall. 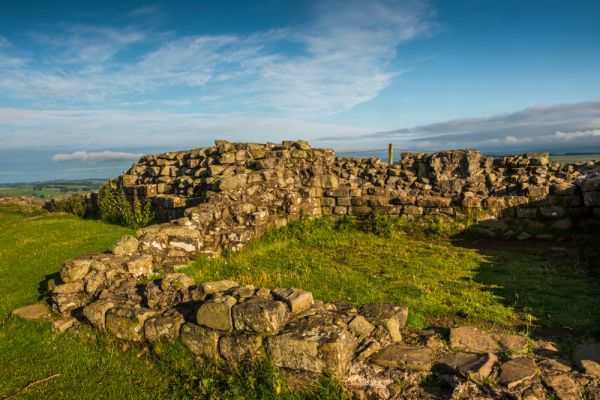 This suggests that it predates the Wall, and was built as part of the Stanegate system of watchtowers linking Carlisle and Corbridge. 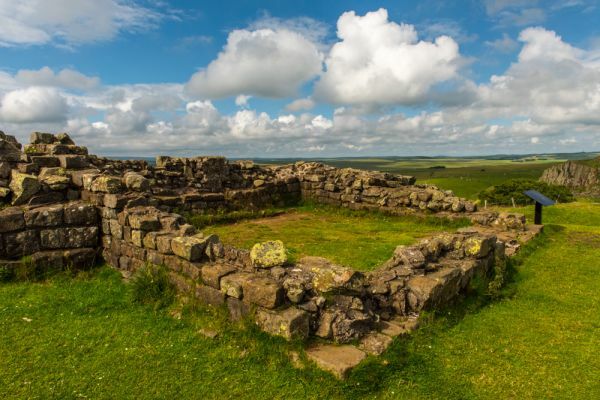 The Stanegate was a major supply road constructed during Agricola's tenure as Governor of Britain, from AD 77-85. The turret measures 5.8 by 5.5 metres (roughly 19 x 18 feet), with walls up to 1 metre high. The best-preserved section of the Wall here stands to a height of 2.2 metres. 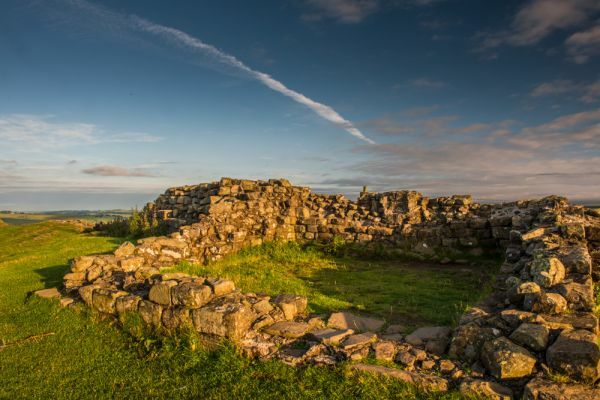 One of the interesting things about the Walltown stretch of Hadrian's Wall is seeing how the builders dealt with the rocky outcrops that make this area so spectacular. In some places, you can see how they incorporated outcrops of rock into the Wall. 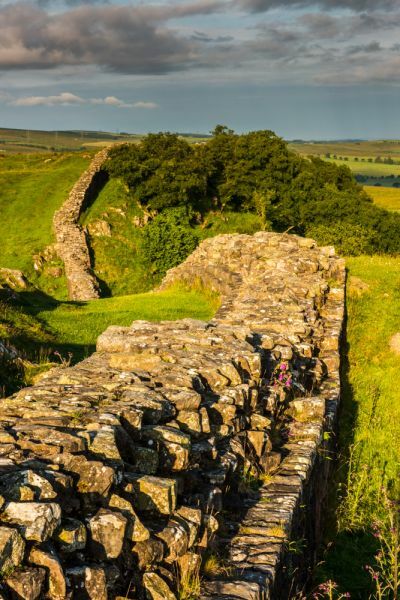 In other places they built the Wall against an outcrop of rock, adding another layer of defence. Follow the signs for the Roman Army Museum and Walltown Quarry country park and picnic area off the B6318 just east of Greenhead. Immediately past the museum a narrow road branches off to the east, with a brown tourist sign to Walltown Crags. The road is quite narrow, with just a few passing places, so please take care. You cross over a cattle guard and emerge to find a small free parking area on the north side of the road. Simply follow the well-worn track straight up the hillside to Walltown Crags. It will take no more than 5 minutes to reach Turret 45A. From there you can turn either right to follow the Hadrian's Wall Path towards Cawfields, or left to follow the Path to Walltown Quarry. Either way provides stunning views, and you can see the course of the Wall stretching out before you as it follows the contours of the land. Our family stayed for a week at Gilsland, just a few miles west of Walltown Crags. 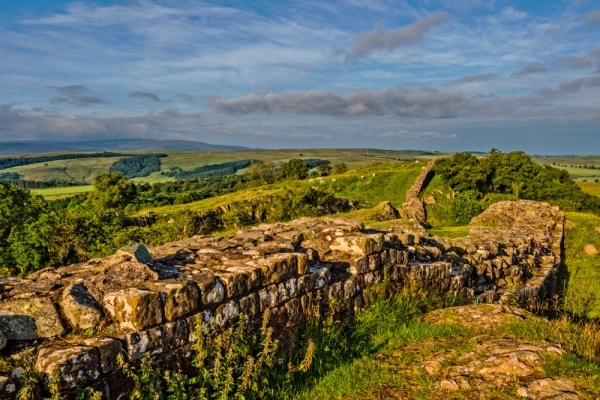 I must have visited the site 4 times in that week, just to photograph the wonderful scenery and enjoy walking along Hadrian's Wall. This is easily one of the best places to enjoy the Wall, and I can highly recommend coming early in the morning, or late in the evening to enjoy the spectacular landscape at its very best. Location: Off the B6318 1 mile east of Greenhead. Parking on a minor road north of the B6318.